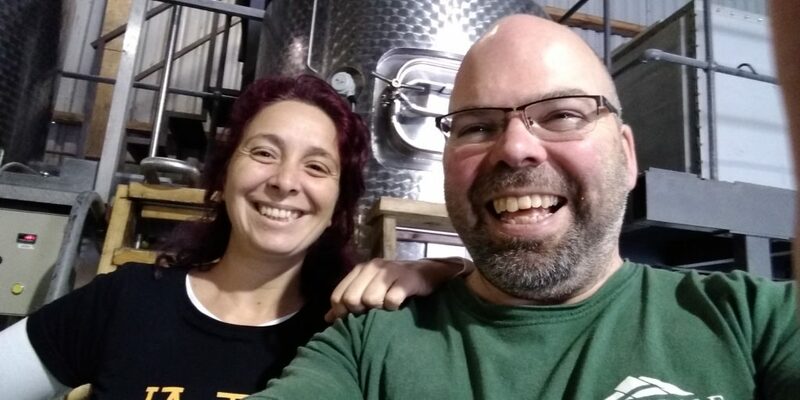 Today we were lucky enough to have Spanish brewer Asun Bosch join us in the brewery. 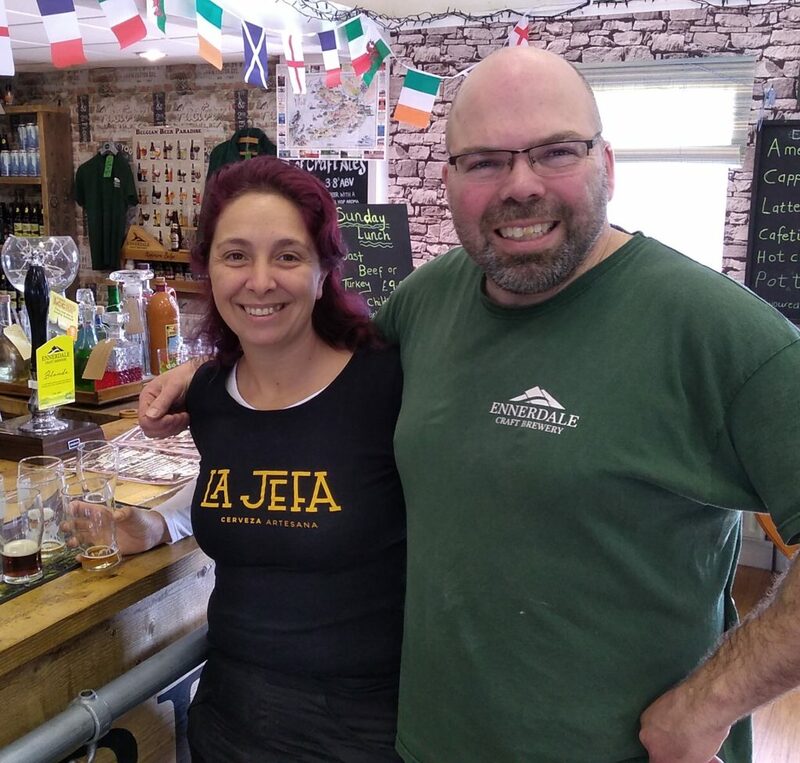 Asun has been brewing beer for “La Jefa: Cerveza Artesana” in Tenerife and wanted to spend a day with Dave to learn all about the brewing process of our English ales. “La Jefa” is the Spanish feminine form for “boss”, or female boss! The brewery has only been up and running for a couple of months but they have already produced three amazing craft ales… with equally amazing art work! 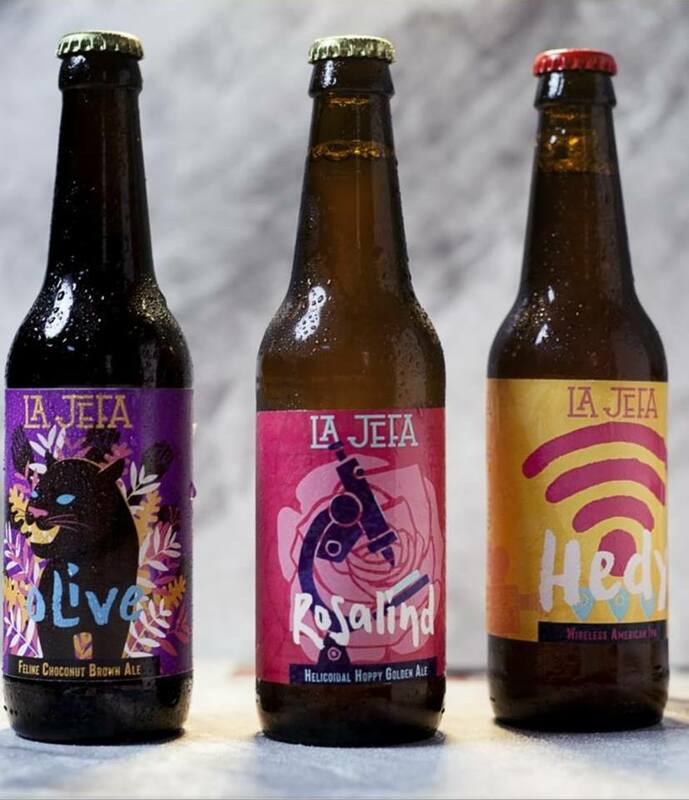 And it gets better, each ale is dedicated to a “La Jefa” that history has kept silently hidden. 1.’Rosalind’ is a light, blonde beer that will fill your taste buds with floral tastes, honey aromas and inspirational overtones. Historically it was almost impossible for female scientists to assert themselves. Education was limited and academic contributions were often dismissed or perhaps worse, misattributed. Rosalind Franklin’s data was used without her permission and her huge contribution to science (unlocking the double helix structure of DNA) was extremely under-acknowledged. Every time you drink a Rosalind you acknowledge “La Jefa” in science! 2. ‘Olive’ is a strong, brown ale that is both sweet and malty with aromas of coconut and vanilla. In her short life, Olive Morris co-founded the Brixton Black Women’s Group and the Organisation of Women of Asian and African Descent (OWAAD). She was also a core member of the British Black Panther Movement. She campaigned for access to education and decent living conditions for Black communities and she fought against state and police repression. Despite dying at a young age, she empowered the people who lived and worked around her. Olive dedicated her life to the struggle for liberation, democracy and socialism- This one is for her! 3. ‘Hedy’ is a tangy, zesty, well-hopped American IPA. It has a high alcohol content and should be savored to receive all of its signals. Hedy Lamarr was a successful American actress, however, with the outbreak of World War II she “did not feel very comfortable, sitting there in Hollywood and making lots of money when things were in such a state”. Instead she turned to inventing and, with help from composer and pianist George Antheil, created a radio guidance system that used a frequency-hopping signal that was immune to interference from enemies. Unfortunately, the US Navy did not adopt her technology until the 1960s, however, the principals of her work are used in Bluetooth technology and versions of modern day Wi-Fi. Cheers to that! It would have been rude to not taste our beer…..